Even when he's wearing his diapers to school, Flippy still expects everyone in class to be on their best behavior since he's the substitute teacher. Besides, he even brought his diaper bag with him just in case he needs a diaper change. If he does, at least a student might be brave enough to change him behind the teacher's desk. Best of all, Flippy will try his best NOT to flip out at any circumstances, so he has to be on his best behavior as well. Man, who could be a better substitute teacher than him? 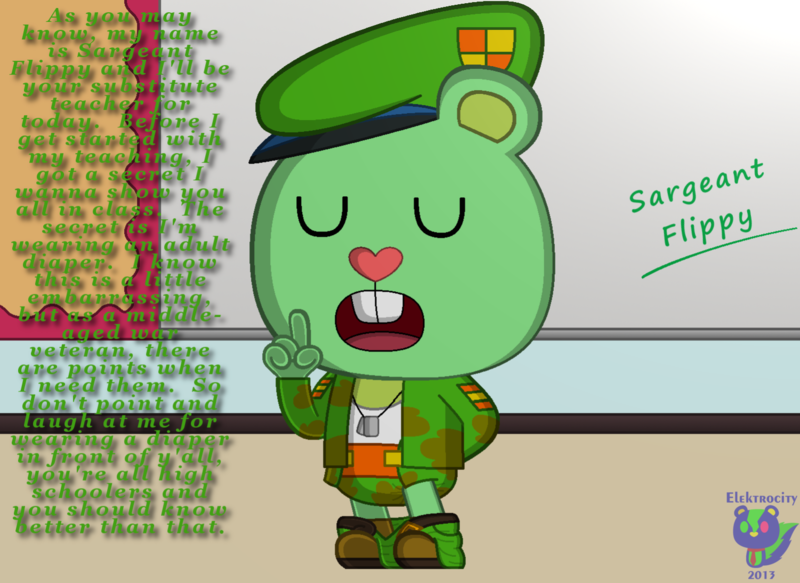 I always imagined Flippy sounding like The Solder from Team Fortress 2.